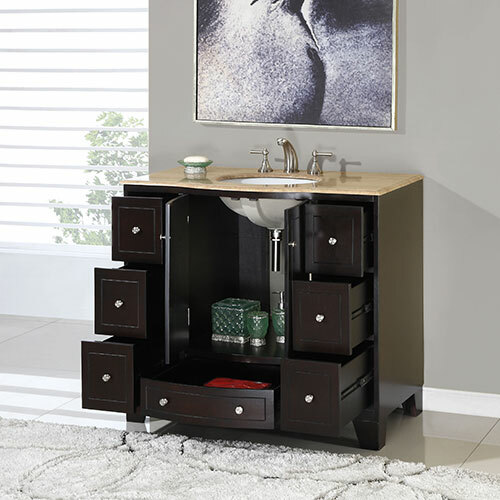 The Delia Single Bath Vanity features a beautiful espresso finish and a charming modern design. The Roman Vein-Cut Travertine counter top arrives pre-drilled for easy faucet installation. The sink is available in either ivory or white ceramic. 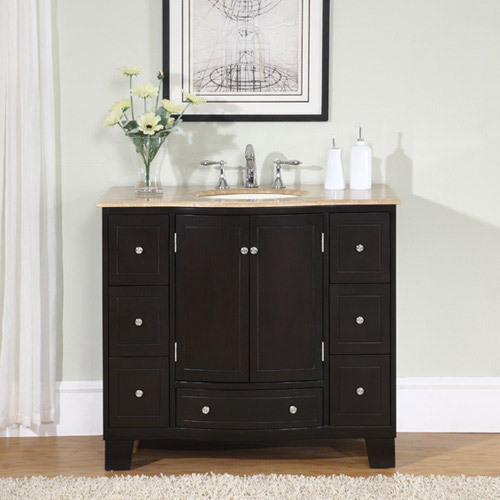 For those who value storage and organization, this vanity features seven drawers and a double door cabinet. 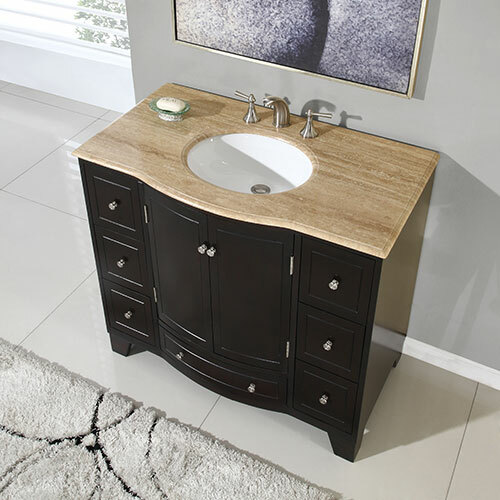 Its transitional style is easy to match with different bathroom designs.